Purchased at Pangaea ($7.50/10 oz. pour) and served in tulip glasses. This “summer seasonal” from the venerated Belgian Brasserie d’Achouffe pours a hazy cantaloupe orange with a minimal bone-white head and a nose of citrus zest, hay, and fermented grapes. 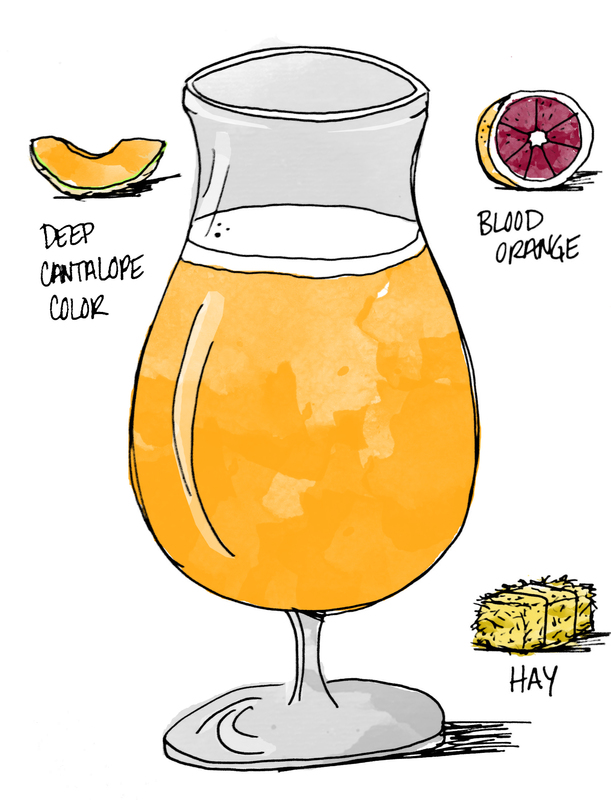 There is more citrus bitterness on the palette, but the edges are rounded out by softer fruit flavors like melon, peach, kumquat, and orange, with a welcome background of farmhouse funk. Biere Soleil isn’t a particularly challenging brew, but it’s certainly tasty, refreshing, and fairly complex for the style. It’s a very pleasant warm weather saison, with very little of the icky mouth-coating sensation I often associate with citrus-forward summer beers.